After visiting Carrickfergus Castle we decided to check out a few standings stones just north of there. Believe me this is not a good exercise during March. Most of the fields were covered in slurry. 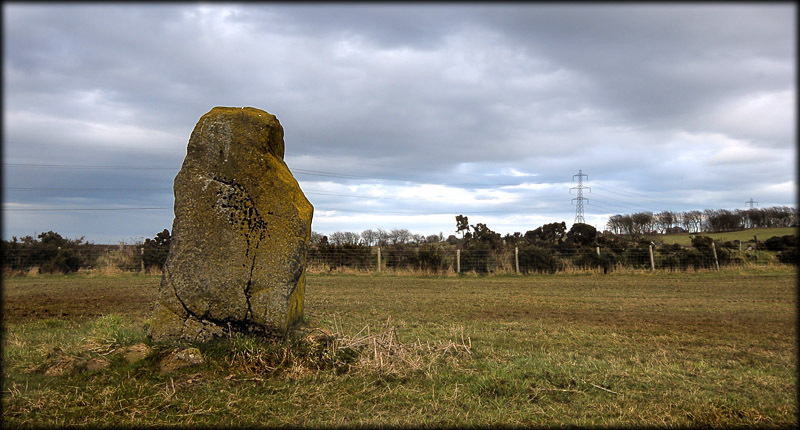 Luckily this rather chunky stone was only fifty yards from the farm track. 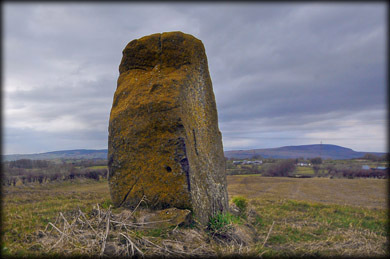 Standing at just over two metres high the stone occupies a rather commanding position. The rain started to fall as we began taking photos of the stone. It was to turn rather nasty as the day progressed so Ballynarry standing stone turned out to be the finest of only two monoliths we visited that day. Situated: From Carrickfergus take the B58 North. Turn left onto b90 then right back onto B58. After about 4 kilometres turn right on to the B99. After 1 k turn left down a farm track. 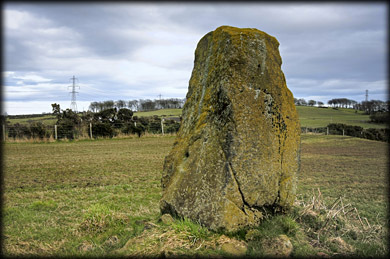 The stone is in a field on your right. Discovery Map 15: J 367 938. Last visit March 2011.